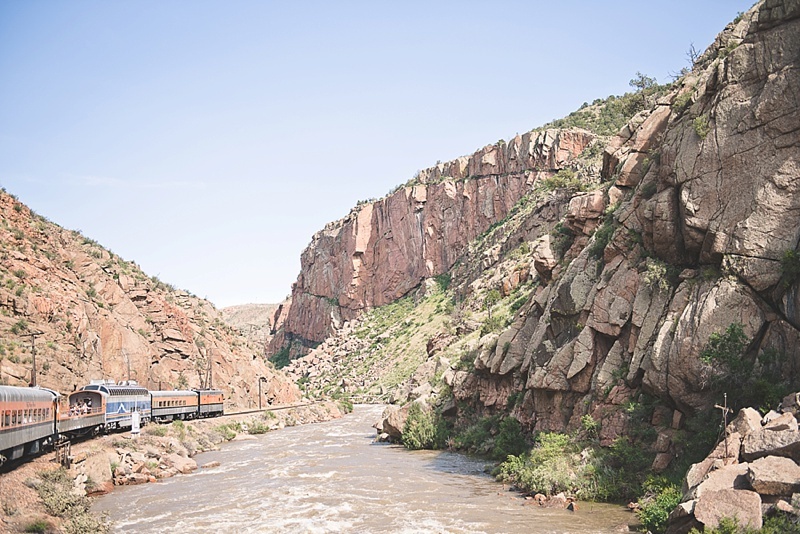 Train rides aren't just for transportation, and this Colorado leisure train will convince you of that. am a bit of train lover. For traveling, there's just something relaxing about no cars, no traffic, no parking, no laborious boarding process. But for leisure? There aren't many of them left, and the Royal Gorge Route Railroad set the bar high for me when I do encounter the next one. Since I was already in Colorado for another event, I decided to make the two hours' drive from Breckenridge to Cañon City to ride the rails. I had purchased the Club Class train ticket that included my lunch, so I didn't pack anything but a few bottled waters and some snacks because of my food allergies (always pack emergency foods!). So if you're going, definitely bring along that camera and a hat/sunscreen. There is an Open Air car that you'll want to go out on for the amazing views-- and with all of the natural reflectors that is the canyon, you'll get sun very quickly! Quick Tip: Upgrade the Club Class ticket to include food! Not only did it make the train ride stress-free with not trying to figure out a food budget, but it also reserves you a special seat with an amazing view! 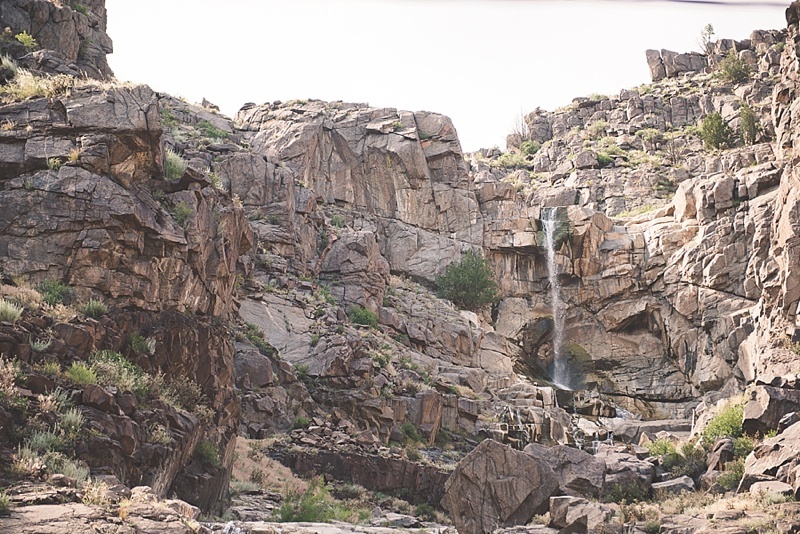 Representative of millions of years old of geological wonder, you wind through the Royal Gorge along the Arkansas River and are greeted by gorgeous red granite walls, remnants of 19th century railroad maintenance, big horn sheep, and the best that nature has to share. 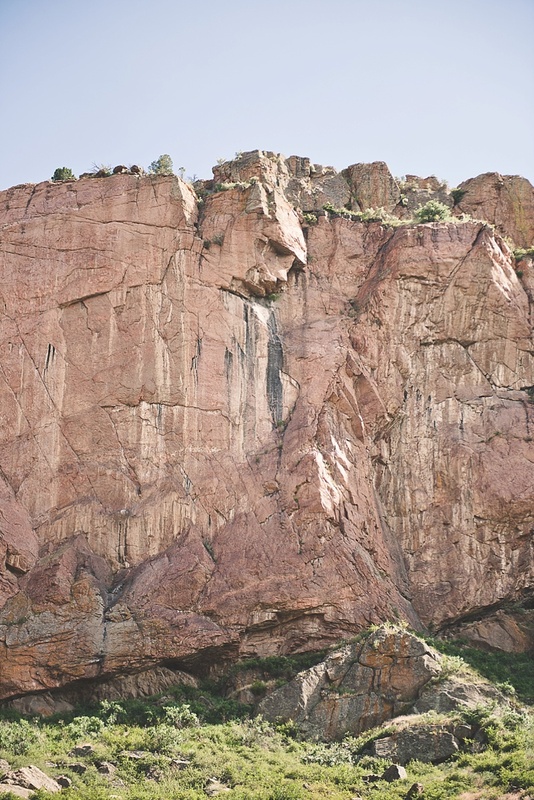 And the train tour guide in the Open Car will likely point out the Devil's Face naturally carved into the canyon wall! Along the way, the train comes to The Hanging Bridge, a really neat feat of early American architecture. 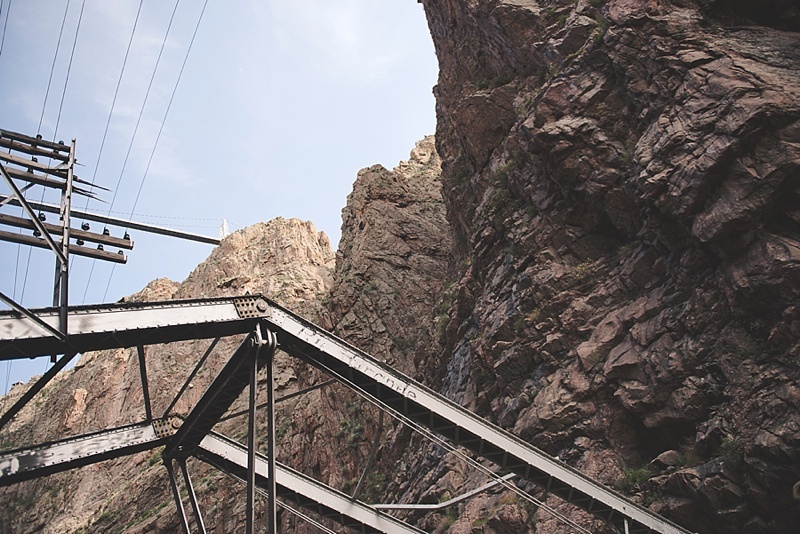 Because the canyon was too narrow for the original Sante Fe Railroad construction, engineers had to create a short suspended bridge for the train tracks so the cabooses could pass over. Inspired by fresh Colorado ingredients, I thought the menu had really great options for all tastebuds, and the grill menu even had quite a few gluten-free friendly options for me (GF buns for the sandwiches!). I had the Crossbuck, a chicken breast sandwich with bacon and cheddar, with a side of homemade kettle chips. The staff was attentive and knowledgeable, and I was pretty stoked that it wasn't a frustrating dining experience that I typically encounter on trains (leisure or no). Meat lovers and beer lovers will appreciate that they also have Colorado bison and craft brews on board! Quick Tip: While I didn't experience them, there are private dinner options for Valentine's Day, New Year's Eve, and other date night perfect ideas for couples looking for a unique experience. This afternoon activity in central Colorado was perfect for any adventurous spirits who love to relax while seeing some epic sights.